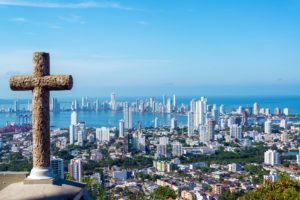 With a potential patient count more than double Canada’s, Colombia’s medical marijuana market is quickly gaining recognition as a legitimate force in the global cannabis industry. The total market for patients with qualifying conditions in Colombia exceeds 5.5 million people, according to QuantilesIMS, a U.S.-based market analytics company. The country, which has long been known for its black-market drug industry, has developed a comprehensive framework to boost the industry. In addition, Colombian companies are gaining recognition in other ways. Khiron Life Sciences became the first Colombian medical cannabis company on the TSX Venture Exchange when it started trading Thursday under the symbol KHRN. Analysts say it’s a milestone that will ultimately draw more capital to Colombia’s medical marijuana sector. “It means capital markets are accepting Colombia as a valid market for medical cannabis. It’s a validation that’s important for the whole of Colombia,” Alvaro Torres, Khiron Life Sciences CEO and co-founder, told Marijuana Business Daily. Another company, cannabis processor PharmaCielo, could see a stock exchange listing in Toronto in the coming months.